An intimate Rome walking tour helping you to get your bearings at the start of your trip to the Eternal City. You’ll visit the top sights and enjoy a gelato tasting. You’ll visit the Pantheon, Trevi Fountain, Spanish Steps, Piazza Navona and even see some Ancient Roman ruins along the way. Traveling in intimate groups of 20 people or fewer with an expert local tour guide you can ask questions, get recommendations and really get a feel for the city. 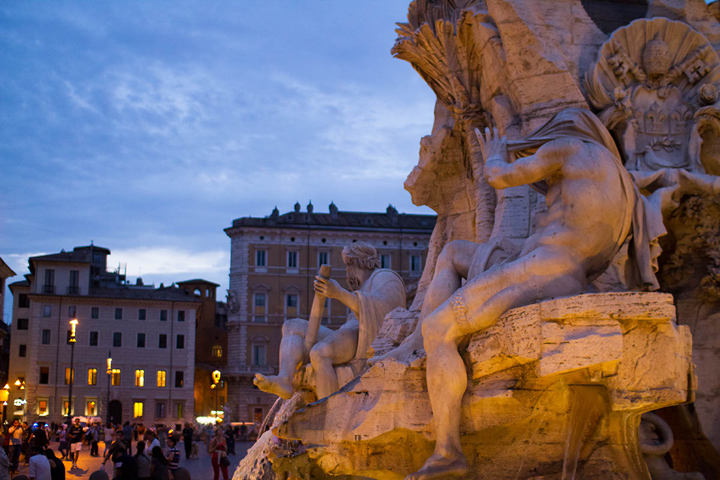 Your Rome Walking tour starts at the stunning Piazza Navona where you'll enjoy Bernini’s ‘Fountain of Four Rivers’, one of the most beautiful sculptures in the city. Your guide will give you the story behind the mysterious symbolism and show you some of the more interesting aspects of the plaza. 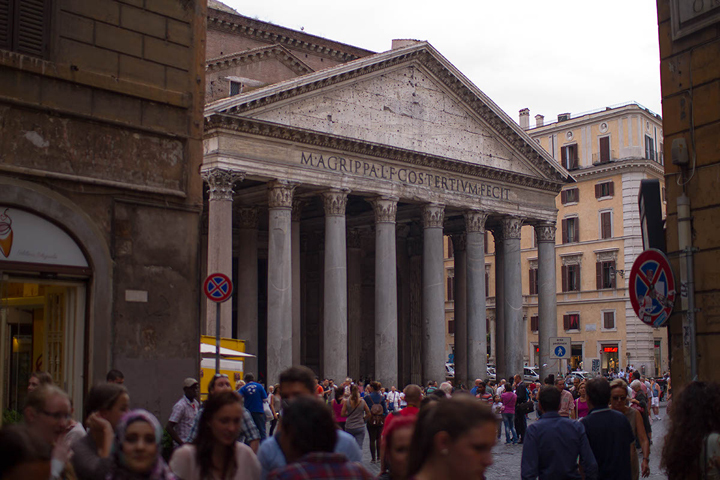 Then it’s on to our favorite site in Rome – the Pantheon. A chill-inducing sight, this building is 1,900 years old and still a marvel of engineering. Visiting in the evening, we’ll find its more peaceful than usual, so your guide will have space to unlock its incredible secrets – including how Raphael really came to be interred here. See all the most Famous Sights fo Rome - in just 2.5 hours! Next we'll take a break from the art and architecture to treat you to an all-inclusive, traditional Roman gelato - Italy's answer to ice cream whose vibrant flavors are sure to wow you. 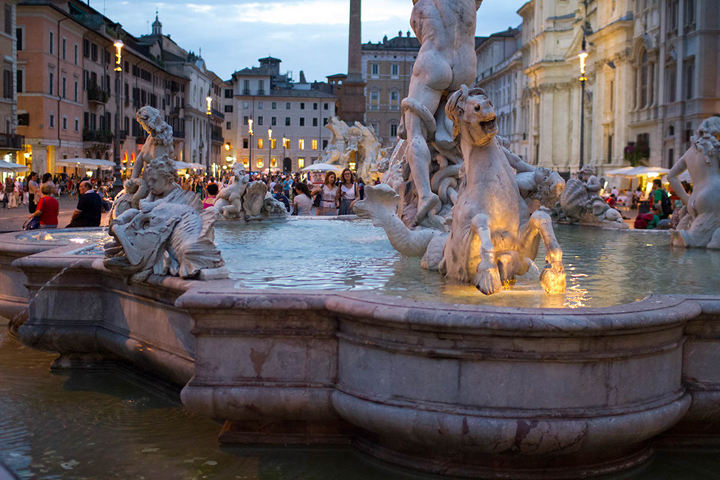 After your gelato, your Rome walking tour takes you on to The Trevi Fountain. This colossal work is the pride of the city and it's full of old traditions. We'll teach you a few - just be ready to toss some coins. Finally, it's time to grab a couple of postcard-perfect pictures at the Spanish Steps. Audrey Hepburn and Gregory Peck fans will recognize this as the spot where they bumped into each other in ‘A Roman Holiday’ – the perfect way to finish your introduction to the Eternal City. Traveling in small groups of only 15 people or fewer, your historic Rome walking tour will be relaxed and intimate, your guide easy to hear and talk to. A good thing too, since our guides are some of the best in the business, hand-picked for their knowledge and enthusiasm. 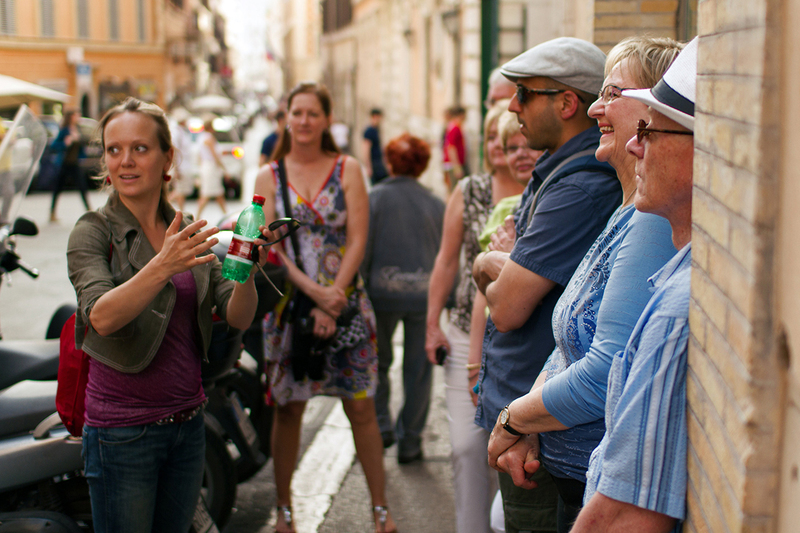 During your tour they’ll forget about dates and figures, focusing instead on the stories and anecdotes behind the sites you visit – because we know that its these funny (and often shocking) tales that make Rome so special, bringing monuments and fountains to life. Our twilight stroll isn’t just about the sights though – it’s about giving you everything you need to enjoy a perfect vacation here. Throughout your tour, you’ll get all of your questions answered, from where to find great pizza to whether you should tip your cab driver. It’s your chance to mine an insider for knowledge so be sure to take full advantage! Sev was both very friendly and professional, gifted with a nice sense of humor, providing all information, hints and making us feeling comfortable while strolling by and getting a feel for the city...very nice tour! Tanguy was a wonderful, engaged guide. I enjoyed the tour and have recommended it to others. Guido was a treasure trove of information. A wonderful historian with a drlightful personality! Guide was pleasant, patient, knowledgeable. He was very accommodating to taking pictures etc. Francesco was a great guide and he showed us a couple of things I never would have found on my own. I really enjoyed the tour. In order to enter the Pantheon, you must have your shoulders and the tops of your legs covered. If it's a hot day, you can simply bring a scarf, sweatshirt, or cardigan to tie around your waist. 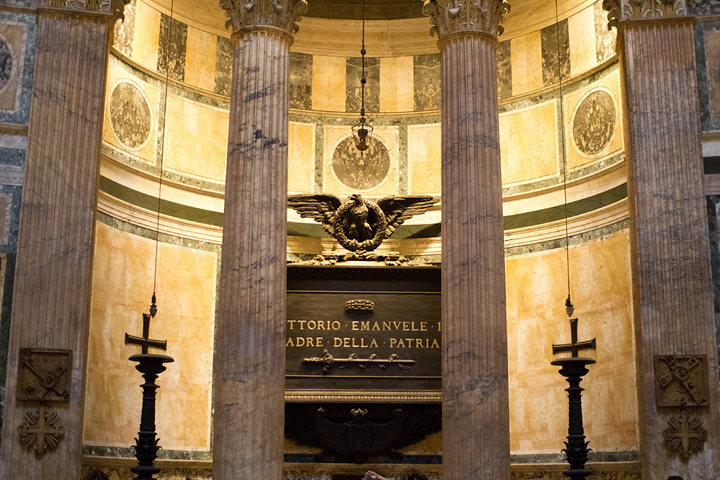 Please note that on Sundays the Pantheon is closed due to mass so see it only from the outside. Those with walking disabilities are encouraged to book a private tour rather than a group tour to allow the guide to adapt the route to their particular requirements. Please contact us at info@walksofitaly.com for suitable alternatives.